This is a repost that first appeared in November, 2010. 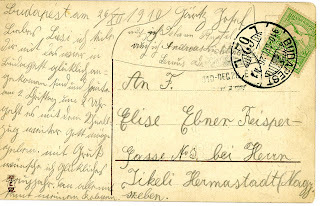 The summer before Josef wrote his sweet postcard to Lisi (see Can Love Last 100 Years? ), he had received a written notice not nearly as delightful. A scan is at the left. 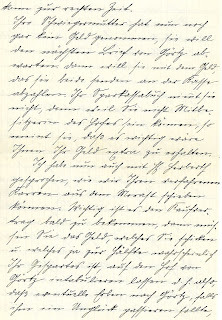 It was the first page in a notebook onto the front of which my grandfather had handwritten his name, Josef Gärtz. I had first looked at it closely about four years ago, but the script was impossible. Must be a diary, I thought, as I carefully turned yellowing pages, still in pretty good shape almost a century later. What secrets might it hold? By order of the magistrate of the K.K. [Kaiserlich/Königlich—the Kaiser and King], capital and residence city, Vienna, you are summoned to appear promptly [“reliably”] before the draft commission in Vienna, 3rd District, Landstreet/Mainstreet Number 97 (in the back of the courtyard) on Friday, the 30th of September, 1910 L.J. [Laufendes Jahres, means “this year”] at 8 O’Clock in the morning to avoid the consequences of rule ¶44 of the Military Law. I’m not sure what rule ¶44 of the Military Law is, but I can imagine the “consequences” for breaking it weren’t pleasant. It appears that this conscription notice was sent in a notebook, perhaps to later contain his military record. But Josef used the next 57 pages for his own writing, most of which seemed to comprise folk songs and amusing stories, some rather off-color, according to my German friend. If anyone has any other information about the manner of sending draft notices in notebooks at that time, please comment. Josef was twenty-one. He was in love. Transylvania was part of the Austro-Hungarian Empire. No democracy, of course. It was “Kaiser and King” that commanded him. 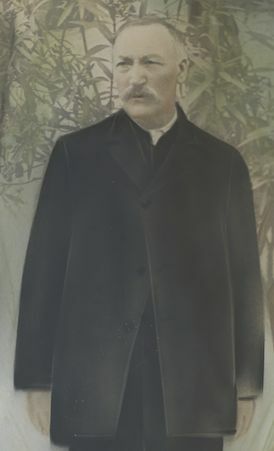 By 1910, the year of Josef’s draft notice, 70% of American immigrants came from southern and eastern Europe, the latter where Transylvania lay. Imagine the visions inspired by that faraway land, firing the dreams of so many millions. 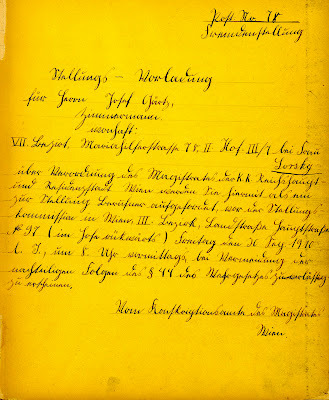 In the context of the time, what thoughts ran through Josef’s head when he received this notice? What were his options? What were the risks of each? Can love last 100 years? This is a repost of a love note from Nov. 18, 1910, sent from my grandfather to my grandmother. 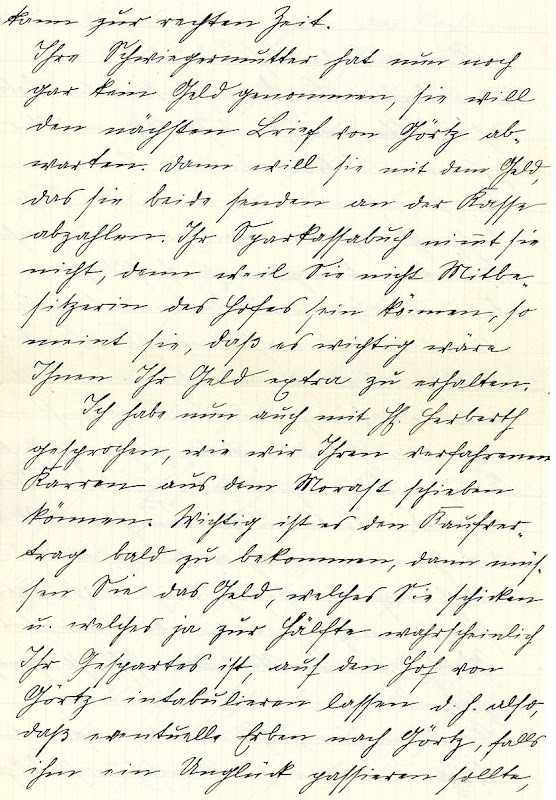 It was originally posted exactly 100 years after Josef wrote it. Funny thing about love. We know it when we feel it. We know it when we see it. 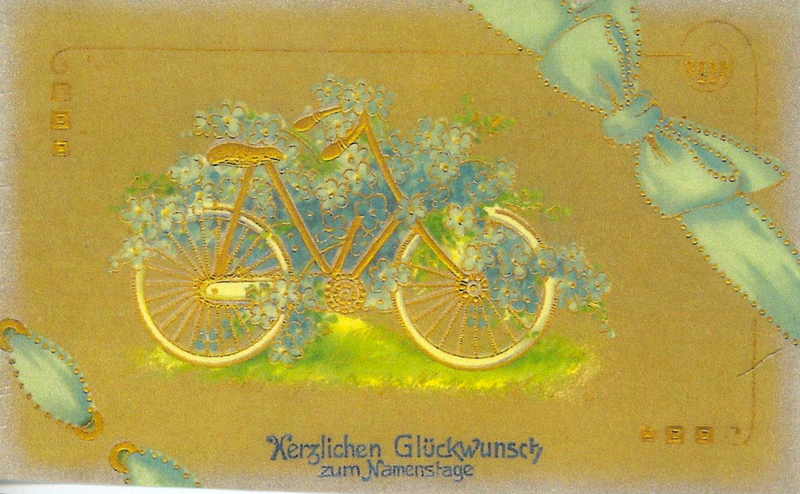 I can see it in this postcard, mailed one hundred years ago today, November 18, 1910, by Josef Gärtz to his sweetheart, Elisabeth Ebner (ABEner) to celebrate her Name Day. Josef was twenty-one. Elisabeth was twenty-three. Within a year they would marry and eventually become my grandparents. 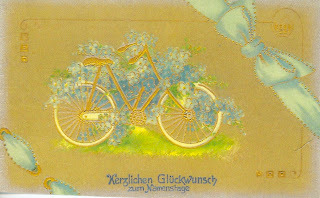 But I didn't always know about the love expressed in language as flowery as the blue-bedecked bicycle pictured on the front. In fact, before last year, I didn't know this postcard existed. It was one of scores of missives my grandmother had saved for almost seventy years. "Trash or treasure?" My brothers and I debated, in a frenzy of sorting after my mother's death. We squinted at the illegible writing, written in an ancient German script that most present-day Germans can't read much less a German major like me. We decided to keep them, but I figured they'd languish for years in "Box 14, Gartz Correspondence" and end up summarily tossed. 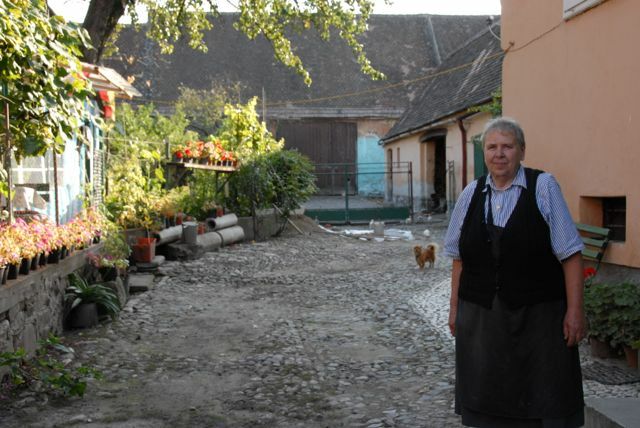 My brothers and I traveled to Transylvania in 2007 on a family roots-finding mission. In Sibiu (called Hermannstadt by the Germans), we met Professor Uli Wien who was researching the history and immigration of Siebenbürgen Germans -- people like our grandparents. Uli asked for our email addresses. Serendipity had begun its subtle work. Did I have letters! My heart leapt at what this meant. Perhaps Uli could help me decipher the inscrutable writing! That put me on a mission to look at the letters closely for the first time in the fifteen years since Mom's death -- and I began to tease out some authors' names. I recognized my grandfather's signature: "Josef Gärtz," and I knew I had a treasure. Herzlichen Glückwunsch zum Namenstag. “Heartfelt Good Wishes for your Name Day." I wish you much happiness and best of health on your cherished Name Day, so you can keep this happy day blooming for many years into the future. A joyful “Hail! and Cheers!” rings out on this day of the flower. [He may be comparing Lisi to a flower]. Long live the pretty girl and faithful Lischen [an endearment for Lisi -- like sweet Lisi]. Celebrating one's Name Day has been a European tradition for centuries -- and was a bigger event than a birthday. Parties, gifts, candy, and cards like this one, all were part of the day. Josef and Lisi were Lutherans, and on the Lutheran calendar, Elisabeth's Name Day is November 19th. 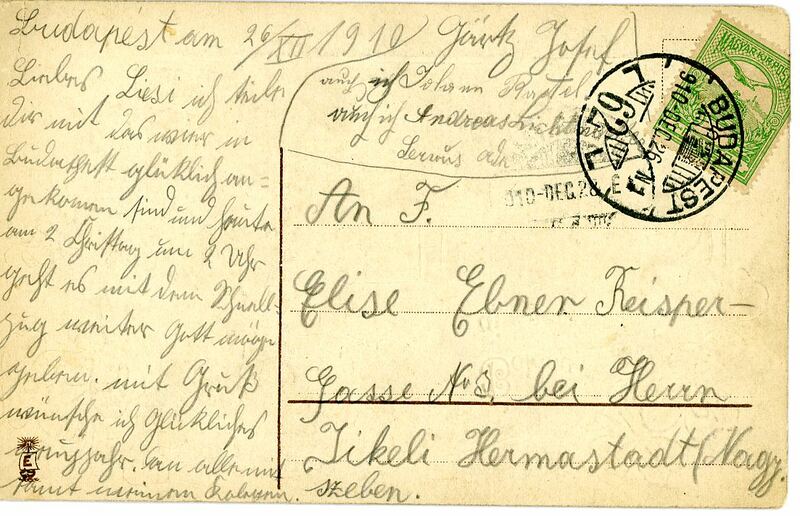 Josef mailed this postcard a day ahead, his loving words now reaching us across the span of 100 years. I know love when I see it. Dad and I at the Palmer House "Father of the Year"
When I was in eighth grade, our English teacher, Mrs. Hall, asked all the students in class to write an essay on why we thought our dads should be "Father of the Year." I guess I wasn't paying close attention and didn't realize it was a writing contest. Mrs. Hall picked several essays that she thought were good and sent them to the Chicago Area Father's Day Council. One night after dinner, we received a phone call. My mom picked up the phone, and soon was making the kinds of exclamations that we all knew indicated a happy event. "Oh, you'll send a telegram to confirm it all? That's just great." "I'll be sure to tell her. Yes. Of course, we'll tell her teacher too." By this time in the conversation we had all gathered around the only phone in the house. "Linda," Mom said, "that was...I think it was the Chicago Sun Times." (She misheard the organization's name.) "It seems that your essay has been chosen as a district winner in the Chicago area search for Father of the Year!" I was dumbfounded. I liked the idea of prizes, but it hadn't even registered that my essay had been in contention. I can still see Mrs. Hall, the next day, directing kids to their seats. She was a bit frazzled as I shyly interrupted to tell her the news. I was astounded by her wide-eyed reaction. She called the students to attention, simultaneously grabbing both my shoulders, and turned me to face my classmates. "I have wonderful news!" She announced. "Linda's essay has just been named a finalist in the Father of the Year contest!" I felt both proud and a little embarrassed. I wasn't used to getting so much attention at school. The glow I felt was not just from the honor of having my essay chosen, but also from knowing my dad would get the recognition he deserved! 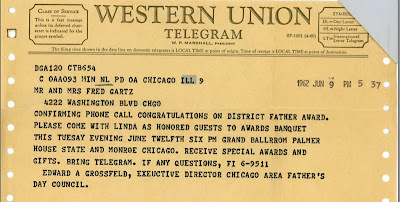 A few days later, as promised, a telegram arrived. We were invited to the Chicago Palmer House for an honorary dinner. This elegant hotel, (now the Palmer House Hilton) named after one of Chicago's most prestigious families, where the elite stayed overnight and were wined and dined in its elegant restaurants, was out of our family's economic league. We felt very special, indeed, to be invited to celebrate in this iconic Chicago edifice. 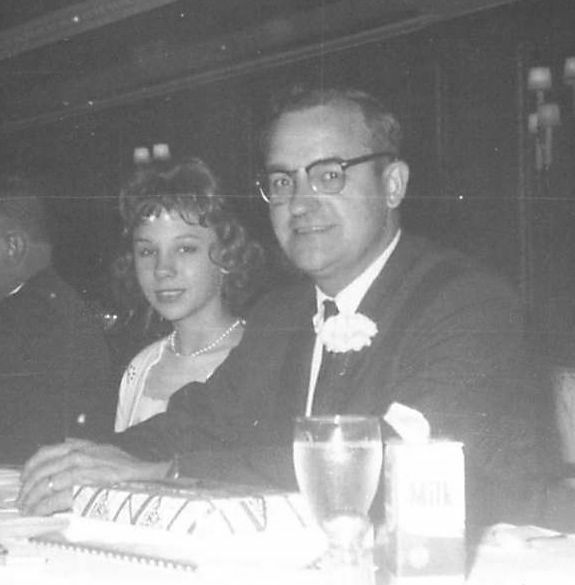 Fifty years ago this past week, Mom, Dad, and I dressed in our best, traveled to downtown Chicago, and joined other district area winners to eat a sumptuous meal in the Palmer House's Grand Ballroom. After dinner, excerpts from each essay were read, and contestants were asked to stand for applause. I didn't win the big award. A girl who had used metaphor to describe her father as "king of the household on his easy chair throne" won. It was a good essay-- expressing a view of dads in keeping with the the era in which Madmen takes place. Mine has all the trappings of an eighth grade essay, with its cautious transitions and clunky prose. Despite those failings I see today, we all knew at the time just which lines had reeled in the judges. This little piece I wrote when I was thirteen is as true to my Dad's memory as anything I could write today, though I hope I could express myself more elegantly now. I'm sure many of you are remembering your dads fondly and all they taught you about life and love this Father's Day. 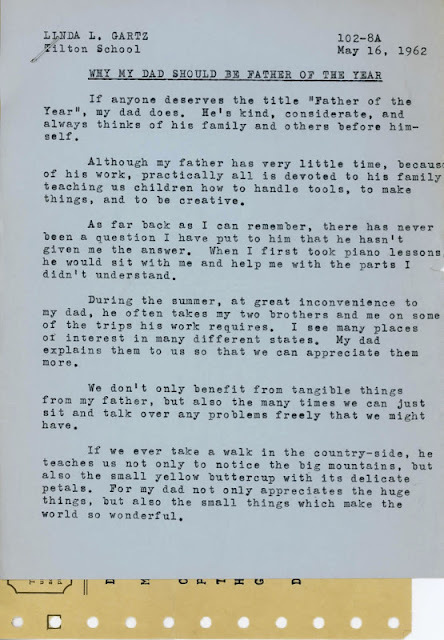 I hope that this essay, written half a century ago (gulp), triggers unique memories of your own dad. Fred Gartz, left; Will Gartz, right. It's time for another CoG - Carnival of Genealogy. As always, thanks to Jasia at The Creative Gene, for sponsoring Carnival of Genealogy. All contributors' posts can be seen by July 4th. This month is the "Swimsuit Issue." Family history buffs (no pun intended) are sharing old swimsuit photos. Not quite as racey as the Sports Illustrated version, these folks were far from posing "in the buff." Modesty was more in vogue. 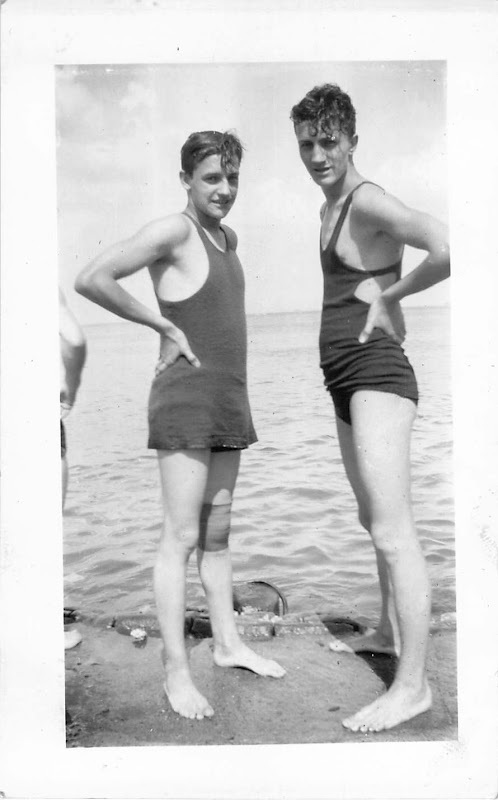 I've dubbed their suits the "mankini," a male bikini, about 1928-1930. My dad, Fred Gartz (dob 10/10/1914), left looks to be about fourteen-sixteen. His brother, Will, a year older. .
My grandparents, Josef and Lisi, worked non-stop during the week and Saturdays in their jobs as janitors in Chicago's West Side, but Sundays were set aside for family. My grandfather was quoted in an article that reported on his retirement from janitorial work in 1954. "Whenever we went out for a little entertainment, we all went together, the boys, my wife and me." Given the number of snapshots I have of the whole family at the beach, even when the boys were young men, their philosophy of family togetherness wasn't just lip-service. It was documented in photographs. This is probably North Avenue Beach in Chicago, about two miles north of downtown. It was one of their favorite destinations on a hot summer day. Family Archaeologist is taking the summer off. 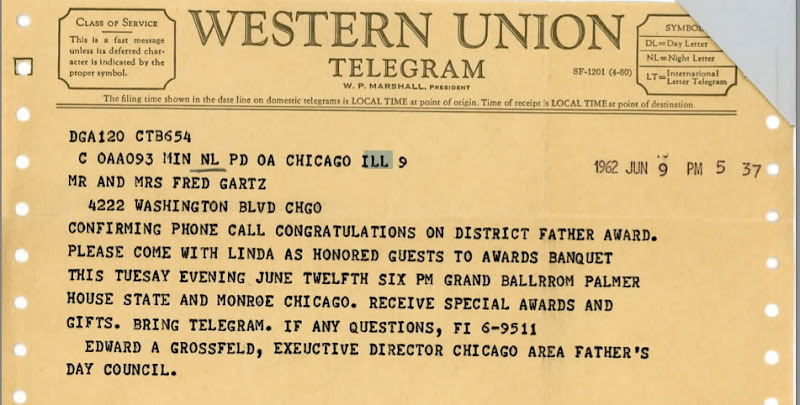 I'd like to use this hiatus as an opportunity to share the backstory of my paternal grandparents, Lisi and Josef Gartz, that many readers may have missed when the blog was getting started. 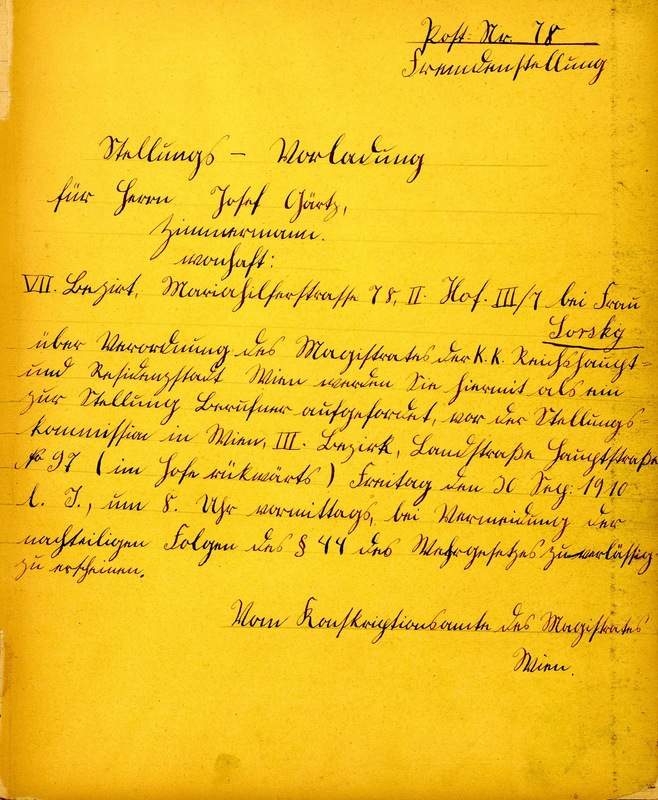 I'll still be posting every Tuesday, re-posting a bit about Josef and Lisi's lives in Austro-Hungary a century ago, including the story of Josef's harrowing journey to America, as recorded in his journal and missives. I hope you'll all enjoy the vintage postcards, their loving sentiments, and Josef's diary and letters of the risks he took to start a new life in America. To see the very first post introducing the blog, click WELCOME. The best defense is an offense, and that was as true in the past as it is today. A century ago, a deceitful notary took advantage of my grandfather’s absence to wrongfully sell his property. My grandmother's father, Samuel Ebner, (left) wrote her and her new husband, Josef, a letter dated May 11, 1913. He was clearly in great distress over the illegal sale. It’s a long letter, so I’ll summarize the facts and include only the best quotes from the letter. Hof courtyard in Grosspold, Romania Lisi's home town. Josef owned a Hof (home and small parcel of land surrounding it) in his hometown of Neppendorf, Hungary (today Romania). Here’s a photo of a typical Hof that I visited a few years ago, probably not much changed over the last century. Josef's may not have been as large. 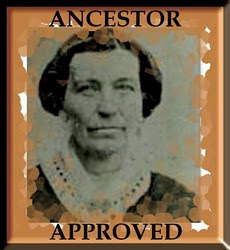 I went with Josef’s mother to the notary. I have to tell you, he is an abusive boor, insulting both me and your mother. He even said that if Sepp (Josef) were here, he’d cuff him about the ears! I did everything that was possible, but too much has already been built on your Hof: a well, an anteroom, a back room, a stall of cement, a pigpen also with cement, very nicely constructed and filled with sand. The new owner wouldn’t talk to me. I inquired about going to court, but your mother will have to pay all the expenses. So I don’t know what I should do. In other words, the person who had bought Josef’s property had already invested so much of his own money into the hof, it would be hard to get the property back. As is so common even today in America, the expense of a lawsuit precluded getting justice. Samuel wanted to know if he should buy another home for Josef and Lisi as several were for sale in a nearby area. 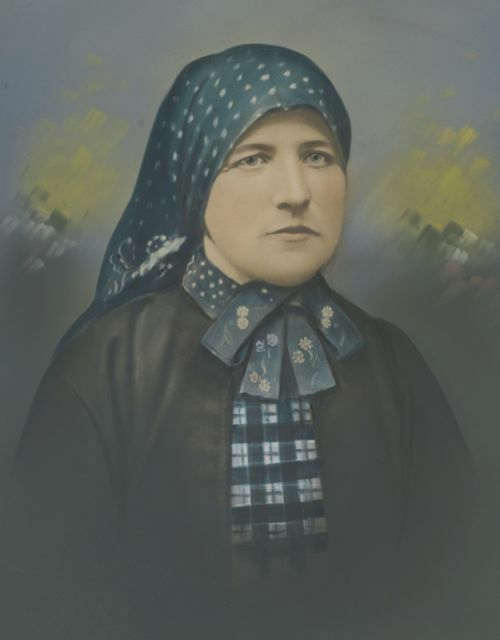 The family even called upon Mrs. Jickeli, Lisi’s former employer, (read her chastising letter to Lisi here) to see if she could get get any satisfaction, but even a woman with her great influence couldn’t help. Mrs. Jickeli had the situation checked out and wrote to Lisi and Josef her opinion. Josef’s mother can certainly file a lawsuit. However, she will not get any justice in any court, and will have to pay many Kronen [money]. To pursue such a hopeless lawsuit would be to throw money into the air. [It would be better] to save the expenses and buy a new piece of land if you would someday want to come home. Certainly the folks of the older generation were shaking their heads in dismay at Josef and Lisi’s rash emigration a year a half earlier. Josef having left without fulfilling his military obligation, Lisi leaving to join him in an impetuous marriage, -- and now this, Josef losing his house. Of course, those back in the old country couldn’t have known in 1913 how much would change in just a year, how their country would be wracked and ruined by war, and how dependent they would all become over the next decades on the loving generosity and care of these foolish youths.